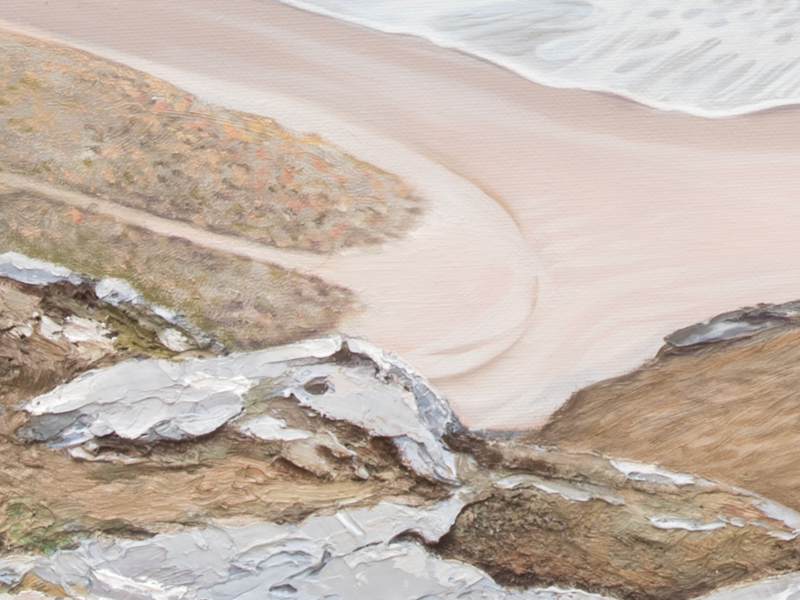 The Bay 1 is a cool and airy painting based on the North Coast of Scotland. The Bay 1 is based on the North Coast of Scotland. The quality of the light there is amazing, as is the air. 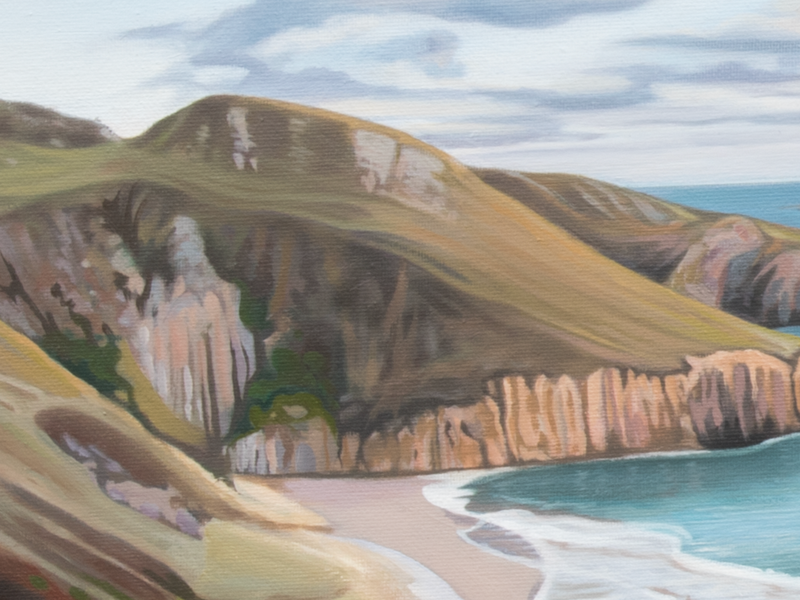 I was drawn to this painting for its gentle and cool palette and the opportunity to create a new technique for some heavy texture in the foreground rocks. This was another painting based on a photograph I took, using a fisheye lens to pull both sides of the bay into the composition. Although subtle, this picture was based on a photo taken with a fisheye lens, giving it slight distortion the exaggerates the perspective. The foreground rocks are painted with thick impasto paint applied with a palette knife and they really pop out, making the viewer feel like they can step into the painting. This painting really has a sense of space to it and it feels light, clear and crisp. This is done on one of my Large canvases, making it quite an impactful painting.